Impressions on first listening to the book. The only true and unedited telling of the life of Christ - his life and times,in historical context, but not lacking the psychology behind his physical being and spirit. 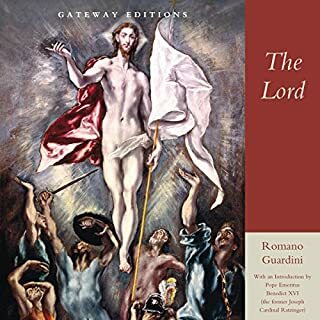 Unlike other books seeking to strip Jesus' story to reveal only the human being, Romano Guardini's The Lord gives the complete story of Jesus Christ - as man, Holy Ghost, and Creator. Pope Benedict XVI lauds Guardini's work as providing a full understanding of the Son of God away from the prejudice that rationality engenders. "I remained, lost in oblivion; My face I reclined on the Beloved. All ceased and I abandoned myself, Leaving my cares forgotten among the lillies." Thus writes 16th century Spanish poet and mystic, St. John of the Cross. In this, his third work, the author reflects on the nature of a personal union with Christ, found in the abandonment of self. 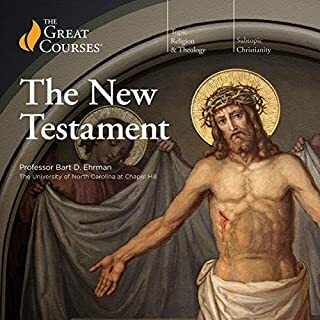 This classic, second only to the Bible for religious instruction and inspiration, has brought understanding and comfort to millions for centuries. Written in a candid and conversational style, the topics include liberation from worldly inclinations, preparation for and the consolations of prayer, and the place of eucharistic communion in a devout life. Written between A.D. 413 and 426, The City of God is one of the great cornerstones in the history of Christian thought, a book which is vital to the understanding of modern Western society. 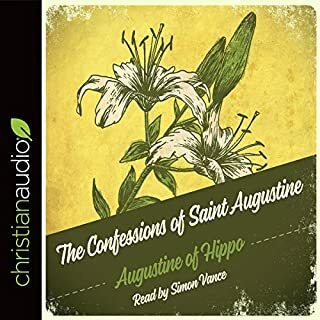 Augustine originally intended it to be an apology for Christianity against the accusation that the Church was responsible for the decline of the Roman Empire, which had occurred just three years earlier. Indeed, Augustine produced a great amount of evidence to prove that paganism was responsible for this event. However, by the time the work was finished, the book had taken on a larger theme: a cosmic interpretation of history in terms of the conflict between good (the City of God) and evil (the Earthly City). 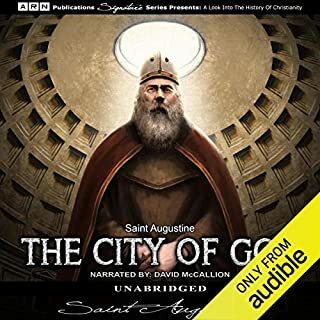 Augustine foresees that through the will of God, the people of the City of God will eventually win immortality, and those in the Earthly City, destruction. Great book! If you can get through it. I have always enjoyed St. Augustine. From the confessions to On the Trinity, he is a pleasure to read, and now listen. This book will give the reader, listener, a brief history of the fall of the Roman Empire and then explain how Christians were dealing with that event. Augustine emphasizes the notion that, as a Christian, one should not expect the things of this world to last. He uses the fall of the Roman empire to illustrate this point. Thus, we have the title, City of God. As a Christian one needs to identify them-self with the City of God not the city of man. As I said earlier, this is a great book; if you can get through it. It is very long. It took me a semester of college to read most of the 'important parts' and about two months to listen to it in its entirety. So I hope all who download this book will push on through because there are many priceless pearls of truth with in the pages of this book. I prefer listening to this kind of book rather than reading it because I can get through it while driving or walking. As a Catholic priest, I would naturally be sympathetic to the argument of the author, but as a human being, I am always concerned with an author's learning, logic, honesty, and openness. I think St. Augustine rates high in all these categories. Even if one would not agree with him in a given instance, I think most people would at least say he had good reasons for his opinion, expressed them well, and did not needlessly minimize the opinions of others. I would in fact think of this work as something of a model for "ecumenical dialogue." I would rate the narrator of this book as "born for this kind of presentation." His English accent adds class to the reading. In fact, I may tackle his narration of The Decline and Fall of the Roman Empire one of these days. Finally, compared to the translation we have in our house library, I would consider this translation more elegant, clearer, and much more acceptable to the modern ear. What made the experience of listening to The City of God the most enjoyable? The narrator did a fine job, I thought. This question doesn't really apply to this work. Which character – as performed by Bernard Mayes – was your favorite? This would take a couple of decades to properly digest. One could literally listen for just a few moments at any particular section and spend a day or two pondering the implications. 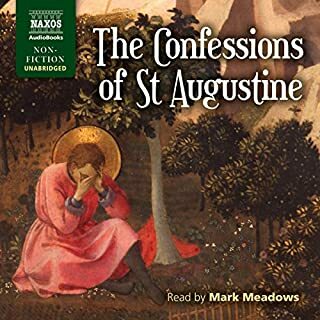 I love St. Augustine, I picked up this audiobook to listen to at work and knew it'd be taxing, but the only issue I have is how the reader just goes on and on, running sentences together, and placing pauses at the wrong places with his fairly monotone droning voice. I won't go into a review of St Augustine's epic work itself. The other reviews here do a fine job of that. But those that give the performance 5 stars are ... well let's just say they should be commended for their Christian charity. I wouldn't expect a work this long to be incredibly well performed, but this is just plain substandard. It's listenable, but that's about it. Frankly it's below the standard I've come to expect from Audible. 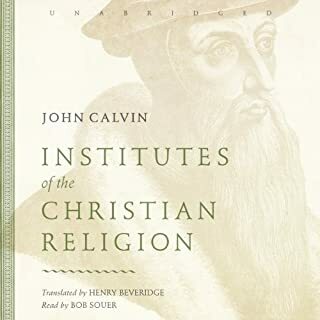 An amzing work of Christian scholarship. Augustine demonstrates his theory that Christianity is based on faith and not man's thinking yet is fully rational. While much of his apologetics deal with Roman gods and beliefs, they are an outstanding example of how we can reason our faith to the shame of scoffers. I felt the narrator a bit stuffy, though. While his voice gave a sense of antiquity, I thought his reading style a bit tedious. To his credit, Augustine does use Pauline sentence structure (quite long and difficult sentences) and it is a monstrously long book. Truly a blessing - a worthwhile listen! A wonderful gift of God to His church, City of God still speaks through the ages to we in the modern era. Several of the books in the middle of this work can be a bit tedious for those unfamiliar with Roman antiquity, but much of great historical value and context can be gleaned by those willing to listen. 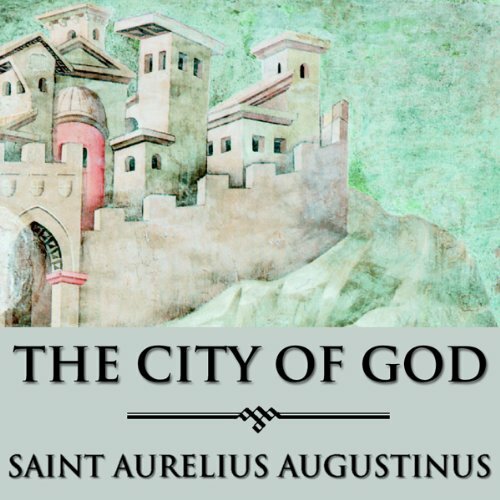 Certainly Augustine's vision of the eternal conflict between the city of this world and the city of God gives great insight for today. The narrator also does a great job! There is background noise in this recording which makes it very difficult for the listener to follow the reader. Clearly a great theologian of the early Church, Augustine defends the faith against the Pagan attacks and promotes the timeless Biblical truths. that was tremendous - that guy ought to be a saint! and so he is. outstanding narration. I mostly got joy out of finishing this, not so much the journey of listening to it. Most of the points argued reach conclusions I already knew from going to a Christian church. The voice actor is eerily fitting the somewhat dry material, though he has some occasions for more lively speech. The most memorable part was the accounts of miracles St Augustine saw or heard of.